You were no doubt dismayed to learn earlier this month that PBR was in peril. If somehow you hadn't heard: No, a group of enterprising freshmen frat boys didn't purchase the entire stock to save money. It's way more complicated and frustrating than that. But rest easy, because PBR, the jewel and flower of these United States, is officially safe again. In short, MillerCoors actually brews all the Pabst brands (including PBR, Old Milwaukee, Natty Boh, and Lone Star), but suddenly decided it would stop doing that. In response, Pabst took MillerCoors to court, saying this was just a "thinly veiled, bad faith attempt to unlawfully hurt a competitor." In short, per a report from The Washington Post, the two companies settled, PBR is saved, and we can keep quoting the greatest scene in movie history. If you want some more context here, the arrangement is called contract brewing and is fairly common in the industry. The two companies had been working together since 1999, with a contract expiration in 2020. Because PBR had no other alternative to keep brewing its beer, it wanted/needed to extend the contract. MillerCoors tried to increase the price of its services, up to what PBR called an unreasonable amount and "an effort to stomp out the competition." Pabst then filed a $400 million lawsuit, which resulted in a nine-day trial and Wednesday's settlement. 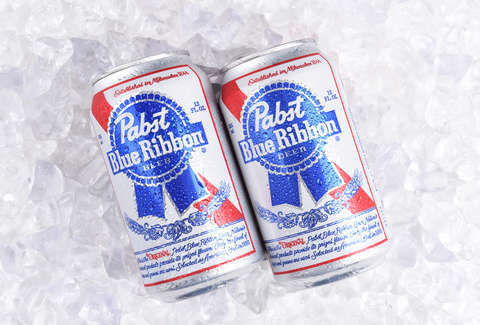 The terms haven't been disclosed, but a spokesperson told the WaPo, “Pabst will continue to offer Pabst Blue Ribbon and the rest of our authentic, great tasting, and affordable brews to all Americans for many, many years to come." Now go crack a cheap, cheap beer and watch Blue Velvet to celebrate.